I spent two full days shooting some 4,000 images with my Canon 1DX Mark II and my new Canon 600mm f/4 lens with the new 1.4x teleconverter attached most of the time. Both are the latest Canon models. Before doing any photography, I first tested the lens by itself for focus accuracy and then with the 1.4x attached. I set a -1 AF microadjustment when using the 600mm alone, and with the 1.4x, I found +5 AF microadjustment produced sharper focus. To be honest, a -1 AF microadjustment isn't much and I would not notice a problem had I not tested the lens. But, the +5 with the 1.4x attached is significant to me, and the results showed it worked just fine with the adjustments I made. Keep in mind the camera "remembers" the AF microadjustment set with the lens alone, and also with the 1.4x attached. For each of these images, I used manual exposure with continuous autofocus set on the back-button. I am using a Wimberley gimbal head with IS on as the camera/lens is not perfectly still on the gimbal head as you track the subject. Of course, since I am usually panning with the subject, I use mode 2 that only stabilizes in the plane opposite the direction of panning. I use a single AF point and try to keep it right on the face of the subject. When I failed to do that, then my focus was off, but mostly I nailed the focus on about 80% of the images. In this situation, the light is steady most of the time, so I prefer manual exposure as it is simply easier to do. Autoexposure introduces so many problems that I don't have to deal with with manual exposure. Had the light been changing a lot from moment to moment, then I would use an autoexposure mode called Auto ISO. Amazing sharpness with a TC! On my 600/4 II, the 2xIII does give acceptable (to me) results, although there is a slight decrement in sharpness compared to the 1.4xIII. I expect to lose some sharpness by adding any extra glass to the optical path. There is a trade-off always, but I wonder if the advantage of a longer lens for some subjects is worth the slight loss of sharpness? When I have a workshop client attend one of my workshops, and they have the 2x, then I will run a test between the 600mm III, 1.4x, and 2x and see how much is lost. I think whether it is acceptable or not will depend entirely on your standards. For the pictures you posted my standard is the lenses ability to draw out the fine detail around the eye. I have always found the 1.4x to be adequate and the 2x to be marginal. Please report your opinion back once you try it out. I think whether it is acceptable or not will depend entirely on your standards. For the pictures you posted my standard is the lenses ability to draw out the fine detail around the eye. In the first one there is no detail around the eye because it it over exposed. The key to using manual exposure is to expose to retain detail in the brightest part of the image that you still want detail. That first image os a good case for auto exposure and highlight tone priority where the camera will automatically try to protect the highlights. Not really - just what I'd have expected. I use my 500mm f/4 Mk II with a 1.4x TC (handheld) almost 100% of the time, and see similar sharpness as a matter of course. The 2xTC can give good results, depending on various factors, especially the sensor. Using the 400mm DO II on the 5DSR, the 2xTC offers very little extra resolution over the 1.4xTC because f/8 is becoming diffraction limited and adds to the image degradation. On the less-demanding, 5DIV the 2xTC does work relatively well, as seen in the shot of the whinchat. The 2xTC should be even better with the lower resolution 1DXII, and I found this to be so in the past on a 5DIII. However, I find the 400mm DO II plus 1.4xTC on the 5DSR somewhat sharper than with a 2xTC on the 5DIV. So, I recommend you try the 2xTC. I hope to get to test the 2x teleconverter soon. I am wondering the best way to get more reach, especially for small birds like warblers and sparrows. If I want a 1200mm, do I use the 2x on my 600mm, or would I be better off to use a 7D Mark II or III with the 1.6x crop, a 1.4x converter, and have a 1344mm focal length. I normally get close, but when I can't, I sometimes crop the image quite a bit produced with my full frame sensor cameras. But, Steve Perry did a video on are you better off to crop the image, or use a higher density pixel sensor on a crop factor camera like the 7D. He found you get sharper results with the cropped cameras as more pixels are on the bird, the AF points are better, and you don't lose contrast so much by avoiding the teleconverter. I have tended to stay away from crop cameras because I do a lot of low light shooting at higher ISOs, and love to do the night sky too, so I need a camera that handles 20 seconds, f/2.8, and ISO 3200 well. So many options...... It would be fun to shoot the 600mm with perhaps the 7D Mark III. I am a real fan of the 5DSR for the sharpest shots. It is FF, but has the same pixel density as a 20mpx crop camera and also has extra sharpness as it lacks an AA-filter. As I wrote above, it is sharper with a 1.4xTC than having the same lens with a 2xTC on a 5DIV. With the release of the 5Ds R the crop debate should be dead. Only occasionally do we see it pop up any more. When the crop had more mp density it was an arguable thing. Assuming you have to crop your picture with the Full Frame body to a size equal to the crop, there is little or no difference in the two. If however, you can get closer to your subject and do not have to crop the 5Ds R will have more mp on the subject. So really no advantage. 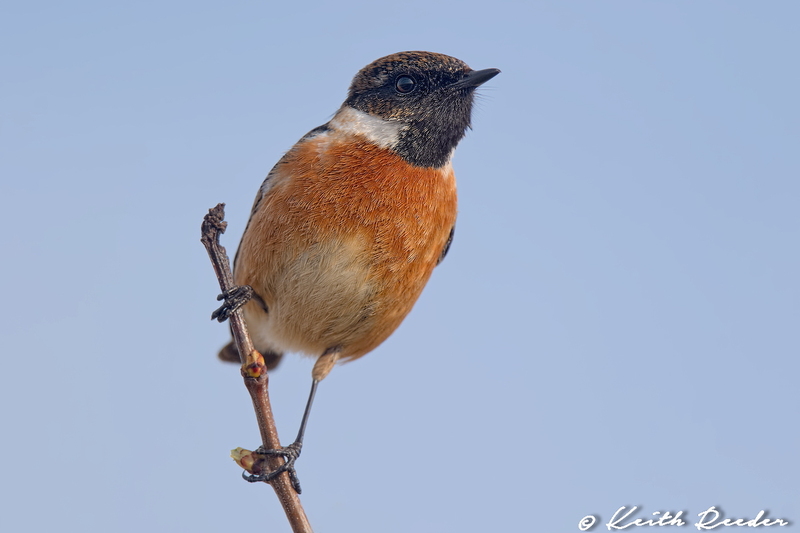 You would have a FPS advantage with the 7D II and this could be important for small birds. Unless I missed some news, any picture you take today with the 7D III would be imaginary. So for what you are wanting to do, the 5Ds R with the 600mm will give you the best resolution. The 1.4x will give you decent resolution. If you use the 2x I would compare it to the 5Ds R cropped to the same field of view as the lens with a 2x and go with which ever looks the best. Do you mean 600mm on the 5DSR vs 600mm +1.4xTC on the 1DXII? If so, I agree that the 5DSR will give the better resolution. A 1.4xTC added to to the lens on the same body should give an increased resolution of about 30% with the Canon supertelephotos. The increase in resolution from increasing the focal length is 40%. Set against this is the slight loss of MTF, which is measured at about 10%. The 50mpx 5DSR has 60% better linear resolution than the 20mpx 1DXII, plus a further ~10% by missing the AA-filter. So the 7D Mark III isn't out yet. I haven't look at crop bodies for quite some time, just heard it mentioned. I think I will stay with what I have for now, as soon wildflowers will be blooming and that takes up a lot of my time, and then two consecutive months of photo workshops to run. It would be nice if Canon would bring out a new long macro lens in the 200mm range. I have used the 180mm macro for decades that date back to the Fujifilm days and continue to use it successfully. But, surely Canon can make one that delivers even higher quality. I know most favor the 100mm macro, and I have had that one too, but for macro outdoors the 180mm is far superior. You have to get so close to things in dewy meadows with macros less than 180mm that it is difficult to work the tripod in without knocking the dew off the subject, or launching your subject altogether. Thanks for your thoughts. I had not considered the high megapixel camera for cropping, and avoided it primarily because I do so much night sky photography and I need less noise at high ISO and long exposures. So the 7D Mark III isn't out yet. I suspect when canon shrinks its pixels for a new “prosumer” APS-C camera, they’ll also dice larger sensors for full frame cameras from the same process.